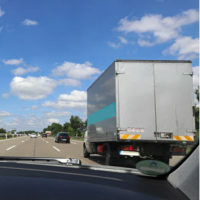 During the period of time between 1980 and 1992, 20 percent of occupational fatalities were due to motor vehicle crashes, according to the Centers for Disease Control and Prevention. However, not all occupational motor vehicle incidents happen to people who work on or near roadways during their normal days. If you were driving to a business meeting, dropping off work documents or products to a coworker or client, or travelling for work, your injuries should be covered under workers’ compensation. However, in some circumstances, your employer may argue that you were not on the clock or not performing your work duties at the time of the collision, which is why working with an experienced attorney is paramount to your workers’ compensation claim. Does it Matter How the Crash Happened? In the case of occupational injuries, it does not matter who caused the incident. For example, if you are a warehouse worker and you lifted over the maximum weight that you were supposed to, and injured your back in the process, you would still qualify for workers’ compensation. The same is for workers’ compensation claims that involve traffic collisions. Even if there is proof that you were negligent, you will still be eligible for workers’ compensation benefits. The West Palm Beach workers’ compensation attorneys of Celeste Law Firm are here to help you get back on your feet after any type of workplace injury. If you were involved in a traffic crash, whether you were found at fault or not, we encourage you to call us today at 561-478-2447 for legal assistance at once.